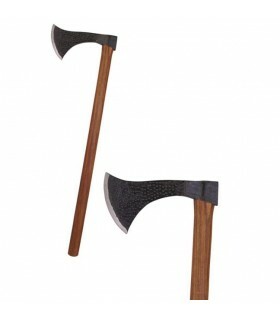 Battle-ready axes There are 35 products. Functional ax-handle wood and rustic steel sheet Danish. Made in the Czech Republic by the prestigious Jiri Krondak gunsmith. LANKY.- 100 cms. 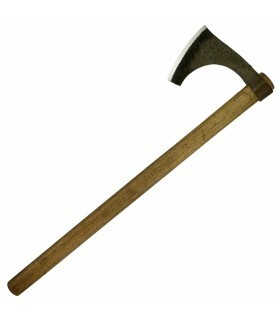 Axe in latex, 25 cms. 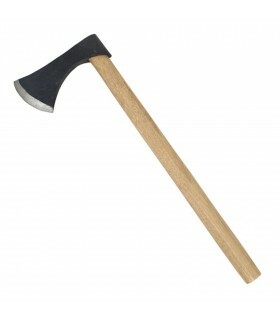 functional ax. Made of high quality latex. 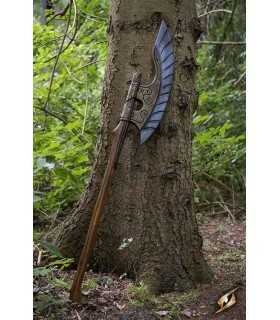 Ideal for LARP, role playing live, recreation, etc. Overall length: 25 cms. 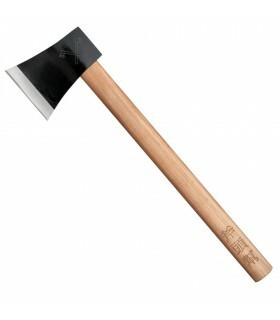 Francisca ax hand forged and made of carbon steel with sturdy wooden handle. The blade is sharp CUIDADO.-. Hacha functional launcher manufactured by the brand ColdSteel. Carbon steel sheet. It includes hammer to nail. 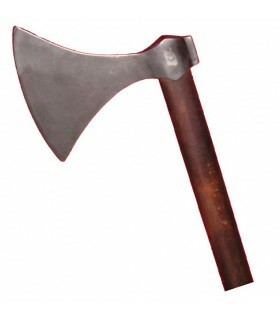 Peak ax functional Falcon, 56 cms. 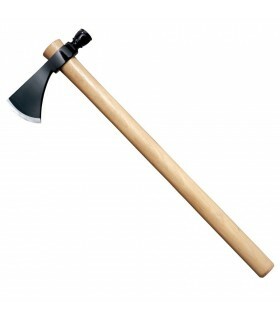 Falcon Peak functional ax manufactured by the brand ColdSteel. Carbon steel sheet in 1055. Mango sturdy wood. 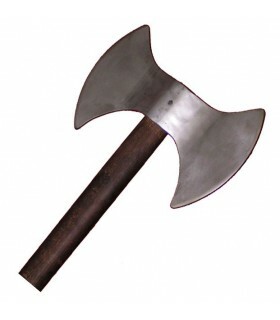 Viking ax hand, 76 cms. 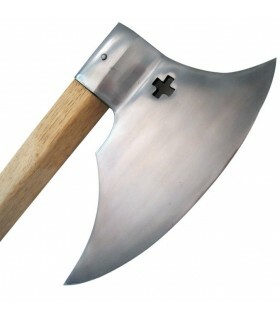 Viking functional hand ax made by the ColdSteel brand. Carbon steel sheet in 1055. Mango sturdy wood. 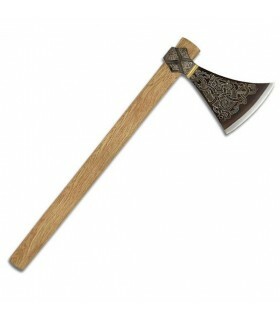 Functional ax-handle in rustic wood and sheet steel Maciejowski. Made in the Czech Republic by the prestigious Jiri Krondak gunsmith. LANKY.- 100 cms. 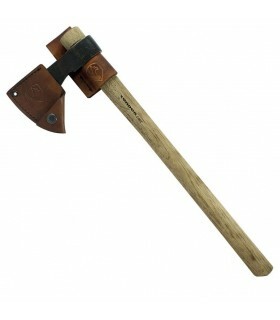 Double ax functional, with wood handle and rustic sheet steel. Made in the Czech Republic by the prestigious Jiri Krondak gunsmith. LANKY.- 90 cms. 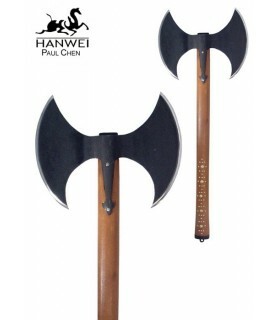 functional double-bladed ax made by Hanwei. 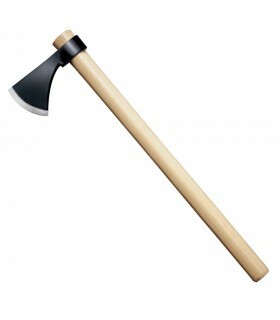 China Axe Gang functional, 51 cms. 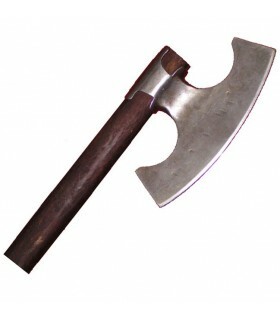 China ax functional ColdSteel manufactured by the brand. Carbon steel sheet in 1055. Mango sturdy wood. Hacha functional Frontera, 56 cms. 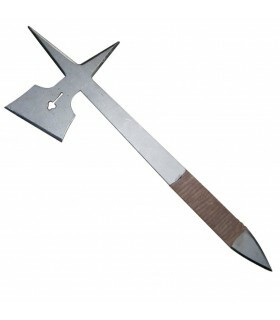 Hacha functional Frontera manufactured by ColdSteel brand. Replica based on the War of France i India until 1800. Carbon steel sheet in 1055. Mango sturdy wood. 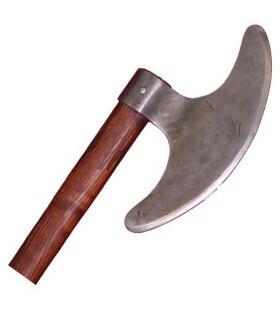 War ax functional hammer, 56 cms. 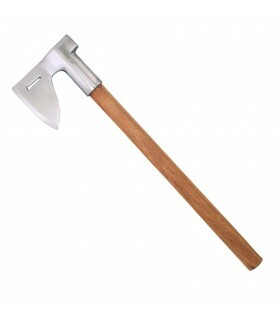 Hatchet with functional hammer manufactured by the brand ColdSteel. Carbon steel sheet. Sturdy wood handle. 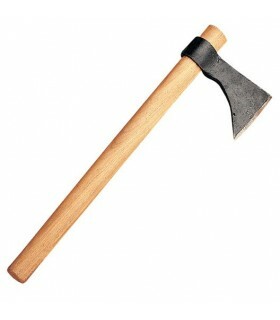 functional ax manufactured by the brand ColdSteel. Carbon steel sheet in 1055. Mango sturdy wood. Axe functional Pipa, 56 cms. 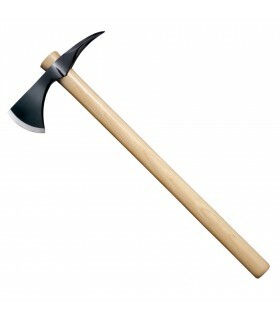 Ax hammer pipe with functional ColdSteel manufactured by the brand. Carbon steel sheet in 1055. Mango sturdy wood. Valhalla functional Viking pitcher. Made with 1060 carbon steel sheet with heat treatment that gives it a hardness of 50-55 HRC. Handle in treated wood. It includes sheet cover in brown leather. 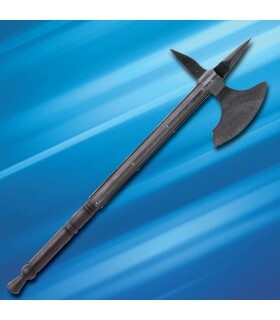 Condor brand India ax made from high carbon steel sheet 1060 and treated thermally tempered with a hardness of 50-55 HRC. The blade is handcrafted with a hammer finish. giving it a classic and improved look. Handle in American wood. Includes leather case. 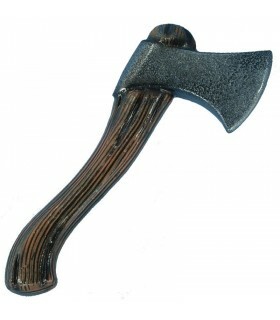 Replica Ax of the year 1150 with tempered carbon steel blade and wooden handle. Manufactured by Windlass Steelcrafts®. Tomahawk strong and resistant with sheet cms. that allows to be sharpened easily. The rounded shape allows you to comfortably hold your wooden handle. Ideal for recreationalists. Manufactured by Windlass Steelcrafts®. Functional Danish ax with blade in high carbon steel and wooden handle. Manufactured by Windlass Steelcrafts®. 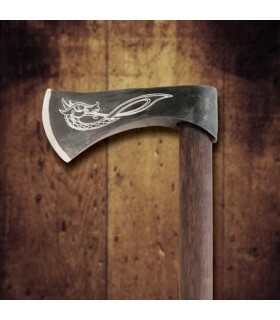 Battle Ax Orleans of the Battelcry collection manufactured by Windlass Steelcrafts with blade made of 1065 carbon steel and aged finish. Sharp blade. It is manufactured by hand. 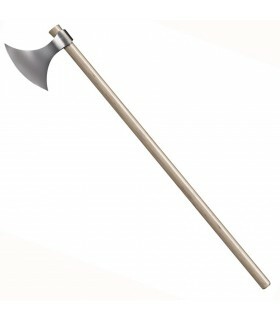 Long functional ax with forged head in 1055 steel with high carbon content. The handle is made of ash wood. 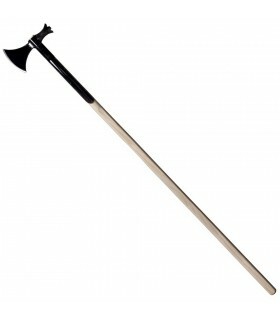 Thanks to its great reach, this ax equaled the battle between a foot soldier and a medieval knight. I become impeachable in the right hands. The blade is extremely sharp and the hammer has a different heat treatment. 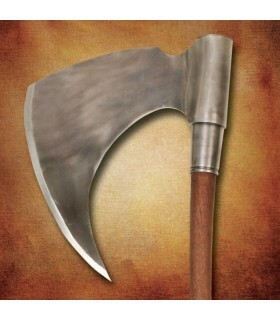 Medieval archer's ax. 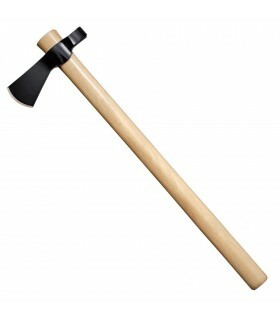 This ax presents a cAble tempered steel on a good shaft of solid wood. The piece is of high quality and fully functional. 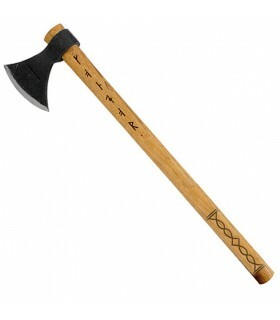 Viking francisca ax. 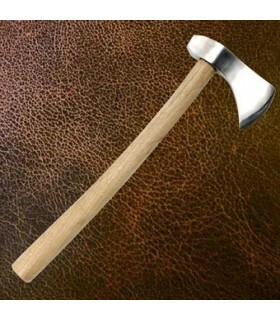 This exclusive ax was used by the Vikings and until medieval times. It is perfect for launching by its solid steel head and robust wood shaft. 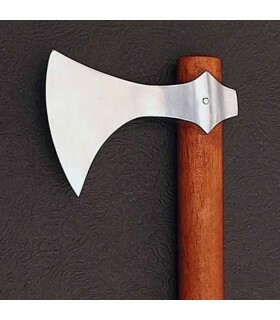 Axe throwing Viking, 49 cms. 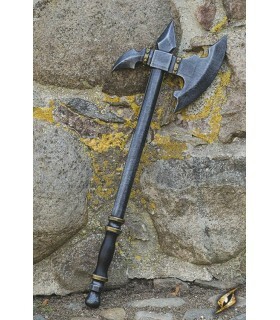 This Axe Death Dealer is forged by hand in steel of high carbon. 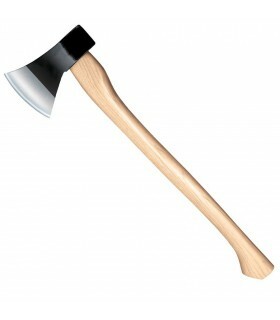 Takes a handle, slightly curved in genuine wood. Sheet of aged look hand finished. A certificate of Authenticity. Includes wall bracket decorated with the shape of the shield Death Dealer. 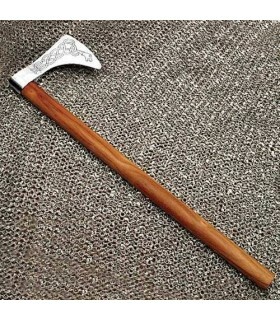 Axe Medieval Horseman with handle in wood. The curved blade in the shape of a wedge, coupled with the curved shaft allows you to perform an arc cutting very powerful that could cut through the chainmail and severely damage the plate of the armor. Made by Windlass Steelcrafts®.Head Sheet: 9 x 17 cms.